Pablo Defendini writes, "Fireside Fiction Company has set up the Hurricane Relief Bookstore as a mechanism for all of us to funnel money over to people who need it. 100% of the profits from sales of ebooks on the store will go to three organizations: one for the Caribbean, one for Houston, and one for Florida. 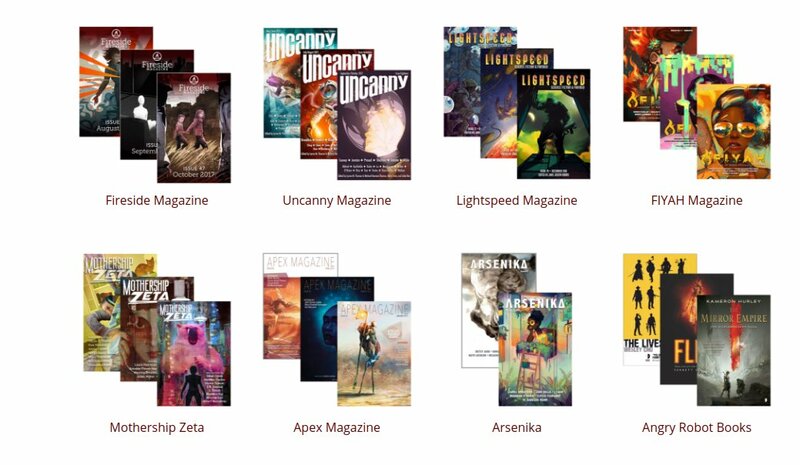 The store features DRM-free ebooks from Fireside Magazine, as well as Uncanny Magazine, Lightspeed Magazine, Mothership Zeta, Angry Robot Books, Apex Books, and many more individual authors who have contributed independently.